Many people do not realise just how large the immigrant population is in Australia. In fact, if you count the net migration from overseas, which is calculated by subtracting departing Australians from arrivals, population growth would decrease by half. Of a growth of 326,100, only 148,900 were the result of a natural increase which accounts for total number of births after subtracting deaths. Out of the remaining population, approximately 177,100 arrived in Australia as a result of migration. 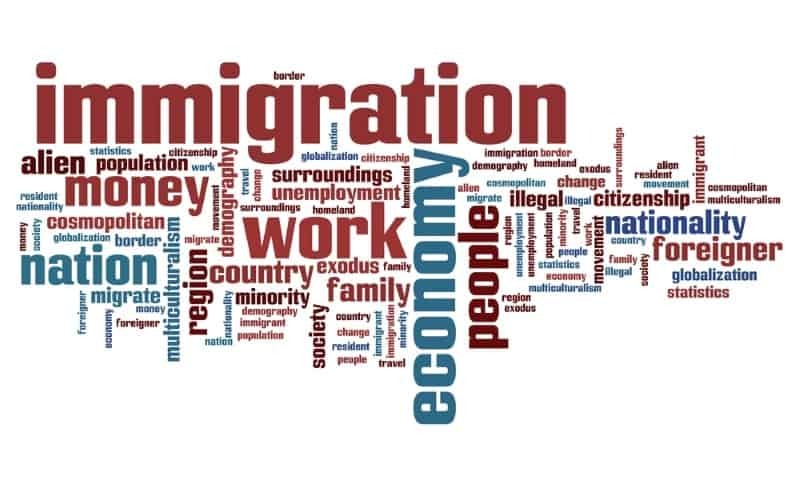 The migration rate into the country peaked in 2008 with 315,700 and has since been on a decline. This is the result of fewer foreign student visas being approved as well as a decreased business demand for skilled migrant workers after the global financial crisis. Some people view migration as a burden on the Australian economy. The reality is that such a significant population decrease would cause the economy to falter. The country has enjoyed steady growth for a quarter of a century due, at least in part, to an increasing population. When new people live and work here, they create a new demand for goods and services. According to HSBC Bank chief economist Paul Bloxham, this helps keep the economy thriving and has an overall positive effect. According to Australia’s Bureau of Statistics, the median age of new arrivals entering the country last year was 26.5 while the median age of the population was 37. Immigrants lower the average age of the population, including the workforce. Banning immigration would mean fewer people of working age in Australia, which leads to a dramatic decrease in income taxes paid. The yearly humanitarian intake comes to 13,750, that’s less than half of all migration into the country. Most people coming in are arriving to add to the workforce which means more funds to help support infrastructure and government. Immigration helps economies thrive, expands populations, and creates new opportunities for everyone. It also influences education, tourism, and many other industries. As attitudes about immigration change throughout the world, it’s important to remember the positive effect immigration has on Australia. To learn more about immigration and visas, contact Emergico Migration Agents.